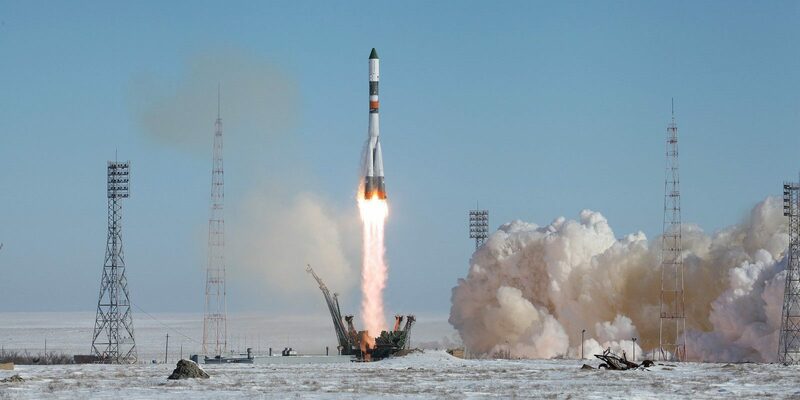 Lifting off under clear, blue skies at Baikonur Cosmodrome in Kazakhstan, the Soyuz-U rocket completed its final launch by sending the Russian Progress MS-05 cargo spacecraft toward the International Space Station (ISS). Liftoff took place at 12:58 a.m. EST (05:58 GMT) Feb. 22, 2017, from launch site 1/5, also known as Gagarin’s Start – the same launch pad that sent the first human, Yuri Gagarin, into space. After a flawless nine-minute flight into space, Progress MS-05, also called Progress 66P, separated successfully from the second stage of the storied Soyuz-U. It will spend two days, about 34 orbits, catching up with the ISS. Docking with the Pirs module is expected at around 3:34 a.m. EST (08:34 GMT). The cargo ship is carrying about 5,400 pounds (2,450 kilograms) of supplies, consumables, and propellant. It will stay attached to the outpost until June before departing and performing a de-orbit burn to re-enter Earth’s atmosphere. This was the first successful Progress launch since the ill-fated Progress MS-04 rocket. On that flight, due to a malfunction in that Soyuz-U rocket’s second stage, the spacecraft failed to reach orbit. An investigation later determined that a failure in the RD-0110 engine’s oxidizer pump had caused the whole assembly to disintegrate 22 seconds before achieving orbital velocity. While an exact root cause was not determined, investigators believe the pump was destroyed from either a foreign object or an improper assembly. The Soyuz-U, the world’s longest-serving rocket, has been flying since May 1973. Since then, it has launched 786 times, including this final flight. While its record isn’t perfect, it has completed 765 of its missions successfully. Additionally, in 1979, 47 Soyuz-U rockets launched, a record for the highest launch rate for any orbital-class rocket. It is based on the iconic R-7 rocket design. 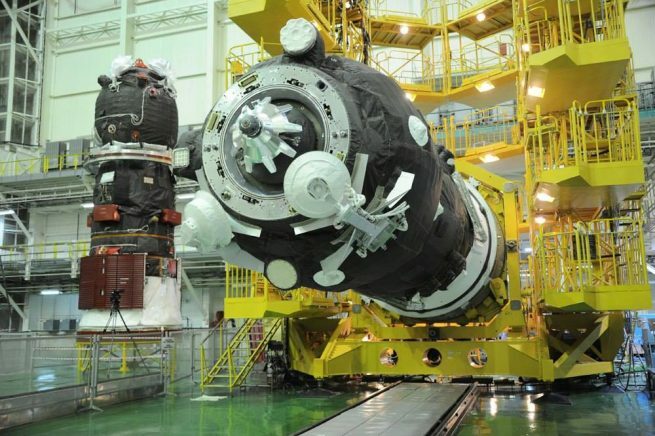 The 167.7-foot (51.1-meter) tall Soyuz-U has a core stage with four strap-on liquid-fueled boosters, and a second stage. Each booster sports a single RD-117 engine that produces 188,502 pounds (838.5 kilonewtons) of thrust. The core has an RD-118 that produces 182,770 pounds (813 kilonewtons) of thrust. The second stage has a single RD-0110 that produces 67,000 pounds (298 kilonewtons) of thrust. All of the engine types burn liquid oxygen and kerosene. Seconds before liftoff, the core stage engine and also the four strap-on boosters ignited and throttled up to full power. 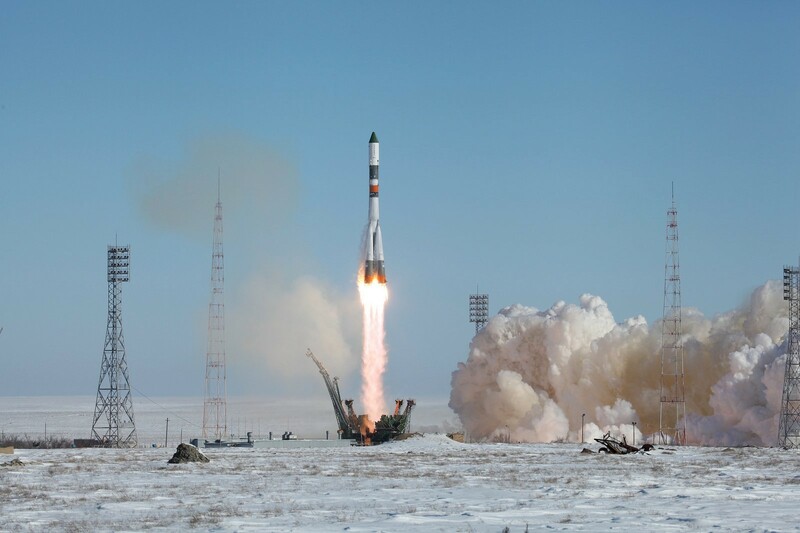 Once the countdown reached zero, the launch mount released the rocket and it soared skyward, leaving behind the snow-covered Kazakh steppe where Baikonur is located. About 20 seconds after leaving the pad, the rocket began pitching over toward its designated orbit. The boosters fell away after burning for about 118 seconds while the core stage continued to burn for nearly another three minutes. At around 2 minutes, 39 seconds, the payload fairing jettisoned, revealing the Progress MS-05 spacecraft. Two seconds after the first stage completed its burn, the second stage’s RD-0110 engine began to fire in what is known as “hot staging”. This means the engine ignites while the previous stage is still attached. Once ignition was confirmed, pyrotechnics between the two stages officially detached the core stage. Using the lone RD-0110 engine, the second stage burned for another four minutes to place Progress MS-05 into a preliminary orbit. Eight minutes, 49 seconds after leaving Kazakhstan, the rocket completed its ascent. Seconds later, the spacecraft separated from the rocket and deployed its solar arrays and antennas. This completed the final chapter in the history of the Soyuz-U. 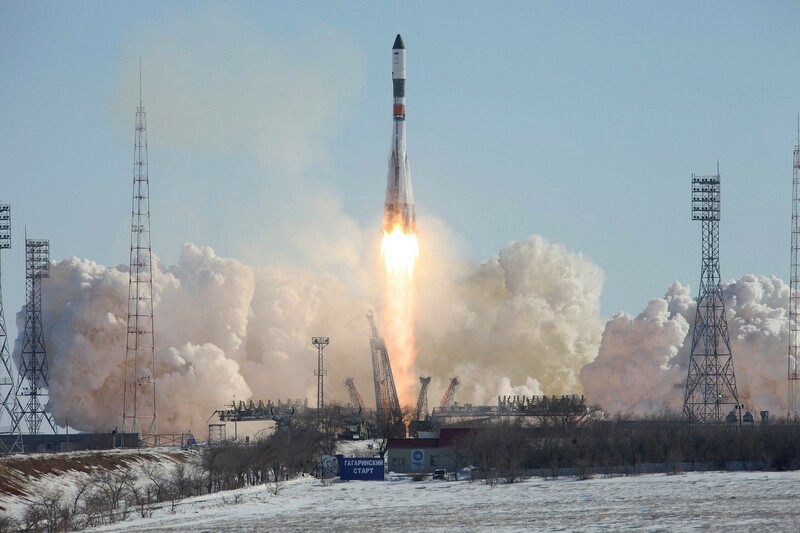 It has since been replaced by the similar-looking Soyuz-2 and crew-rated Soyuz-FG rockets. This was the 157th Progress mission since the cargo freighter design began flying in 1978. Back then, it was servicing the Salyut 6 space station. Progress MS-05 was the 68th of various models to be sent to the ISS.